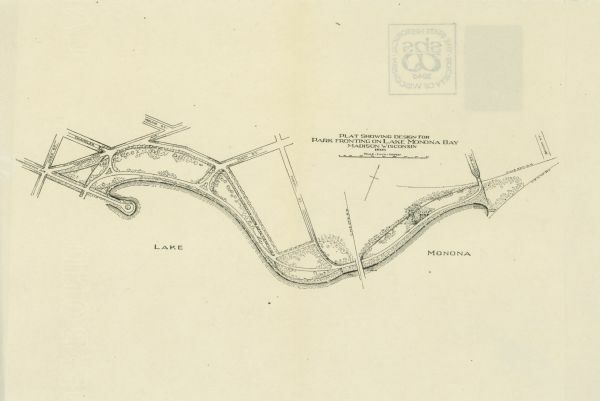 A map showing the design for a park fronting on Lake Monona Bay. (Now called Brittingham Park) taken from between pages 44 & 45 of the 1905 Madison Park and Pleasure Drive Association Annual Report. For more information on the "proposed" park see p. 43-47 of the 1905 Madison Park and Pleasure Drive Association annual report.